Ralph Zoller, of Princeton passed away on November 12, 2018. He was born in Colusa on February 23, 1932 to Peter and Agnes Zoller. He graduated from Colusa High School and attended Yuba College for one year, then was drafted into the Korean War at age 19. After serving in the war for two years, he went on to play football at Chico State for the following two years. In February 2009, Ralph was inducted into the Yuba College Sports Hall of Fame. Ralph met the love of his life, Bernice Torres, and they were married on June 28, 1958 in Princeton. They settled on the family farm where he proudly became a hard working rice farmer for 57 years. They were blessed with two children, Jimmie and Linda. Ralph was a part of the Princeton Fire Department and the Princeton VFW. He enjoyed hunting, fishing, water skiing, and annual family trips to Fort Bragg where he enjoyed abalone diving. 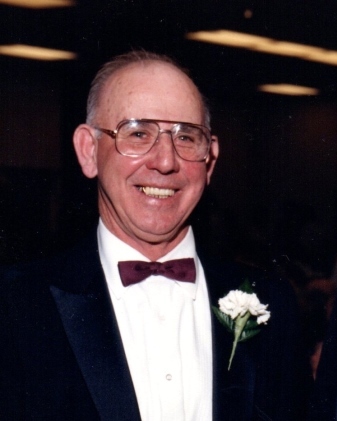 Ralph was very active in his grandchildren’s lives, and found great joy in attending all of their sporting events. Ralph is survived by his loving wife of 60 years Bernice Zoller; son, Jimmie (Theresa) Zoller of Princeton; daughter, Linda (Greg) Hansen of Princeton, Grandchildren, Justin (Krista), Chad, and Brianna (Zoller); Cody and Amanda (Hansen); Tommy Zoller, brother; of Corning, He is preceded in death by his siblings; Edna, George, Dorothy, Elaine, Helen, Joanne, and Jack. Ralph was a beloved husband, dad, grandpa, brother and friend. He will be sorely missed. A visitation will be held from 5:00 p.m. - 8:00 p.m. at McNary-Moore Chapel on Monday, November 19, 2018, with a rosary at 7:00 p.m. Graveside services will be held at 10:30 a.m. on Tuesday, November 20, 2018, at the Holy Cross Catholic Cemetery, 1741 Wescott Road, Colusa, CA 95932. Memorial contributions can be made out in Ralph’s name to a charity of your choice.